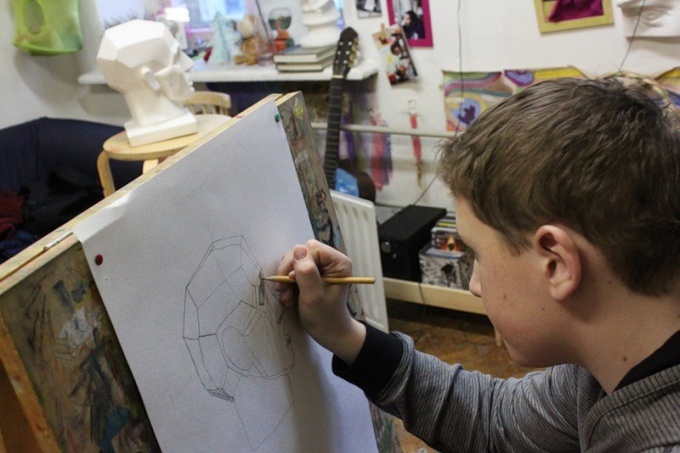 Studying classical drawing begins with drawing plaster models. 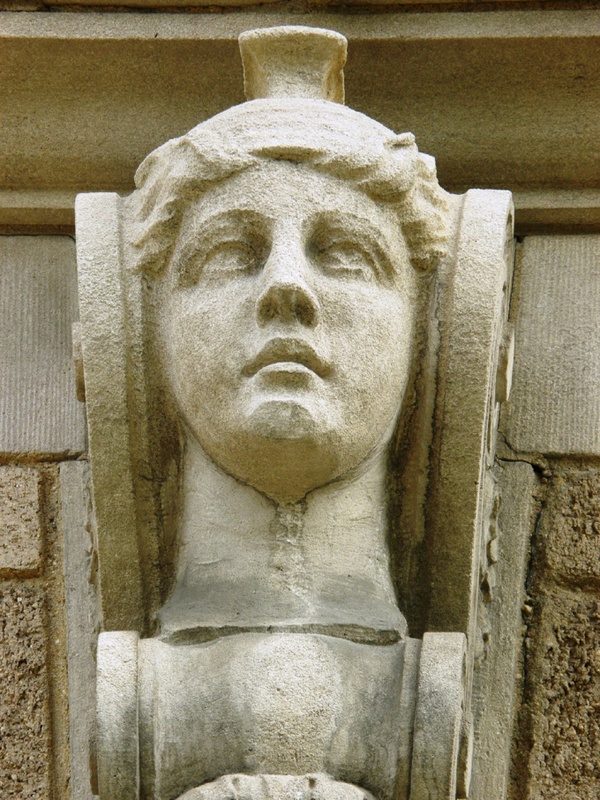 Plaster head drawing aspiring artists in all educational institutions. They learn under the guidance of a teacher who knows how to put a particular model, what it is necessary to select the lighting. Drawing plaster models useful to those who studies independently. Put the model on the table. The table should stand at a minimum distance of 3 meters from the painting. It is better if the distance is bigger. If you paint the apartment, put the table with the model in one corner of the room, while they themselves sit in the opposite. Attach on the model of the light source so that the light fell from above at an angle of 45°. Eyes should be level with your eyes. If you are just beginning to draw, put the head full face. Pick up draperies. The background should be lighter shaded parts of the head and darker lit. You can also use "optical illusion", taking a light gray background. It will seem lighter than it is near the shaded parts of the model, and near-lit — on the contrary. Mark on the sheet the reference point. First, draw a vertical line approximately in the middle of the sheet. In height it equals the distance from the middle of the forehead to the chin. Mark the horizontal line of the eyes, nose, lips and other. Line the eyes pass across his face, the rest of the guidelines just to outline. Indicate the ratio of the width and height of a person in different parts. Mark shared oval. Sketch the neck line. The proportions of length and width should be observed as accurately as possible, otherwise, then it is very difficult to draw individual parts of the face. Set the volume of the head. The surface, reaching to the nape, separate from the front. This is done by using different types of shading. Mark the proportions of the individual parts of the face. Mark's eyes. Compare their proportions with the proportions of the head. Similarly, draw the nose and mouth, constantly comparing them with each other and with the size of the head shape. With a simple hatch mark the main surface of the head. Lit places leave white. On a dark surface apply eye shadow. Give plastic the shape of the head. Carefully inspect the model and determine where one surface changes into another. How sharp is this transition? Some surfaces to smoothly flow into each other, and they separated a little more dense shadow. The illuminated surfaces are moving in the shaded dramatically. In the lower part of the face, if the lighting is installed on top, the lines are more smooth and rounded. Please note for the future. This is especially important when drawing the external parts of the head. Pay attention to how and in what proportion reduced some of the surface. Observe term. Go to a more subtle detailing of the head. Determine how many surfaces is each part, and how these surfaces interact with each other. For example, the forehead consists of five different surfaces, which are separated from each other by density of shading. The same applies to the nose — it consists of several parts, which are normally not visible, but for proper construction must be visible. Make smooth transitions between different surfaces. Do it with pencil hatching. For the lighting model is better to take the daylight lamp. If not, put the model closer to the window. If you start to draw the head first and on their own, follow a sequence of actions. 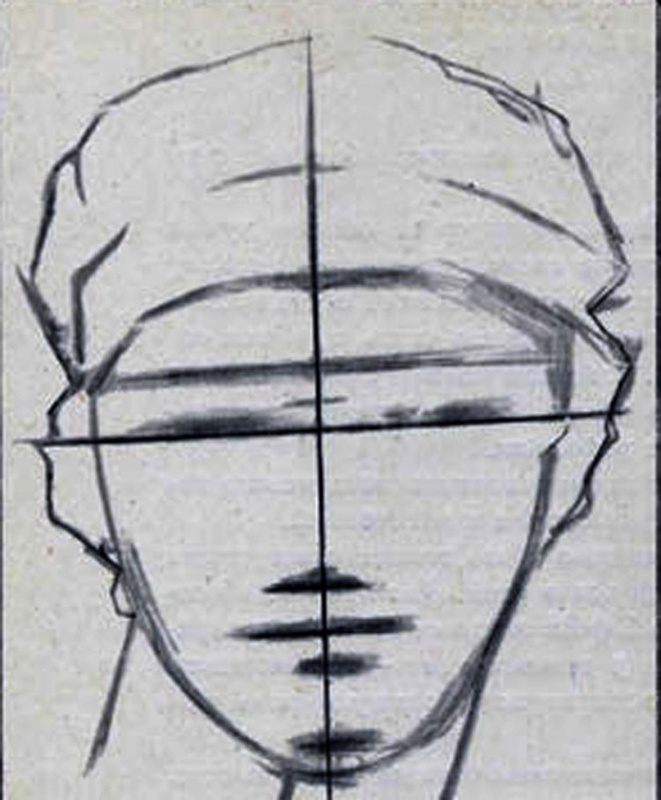 In the future, draw the head as a whole, indicating only the main lines and common oval. Light and shade give a light shading with a pencil. No need to use gum for the whitening of some parts. Better to leave the surface of the unshaded, gradually adding the shadows. 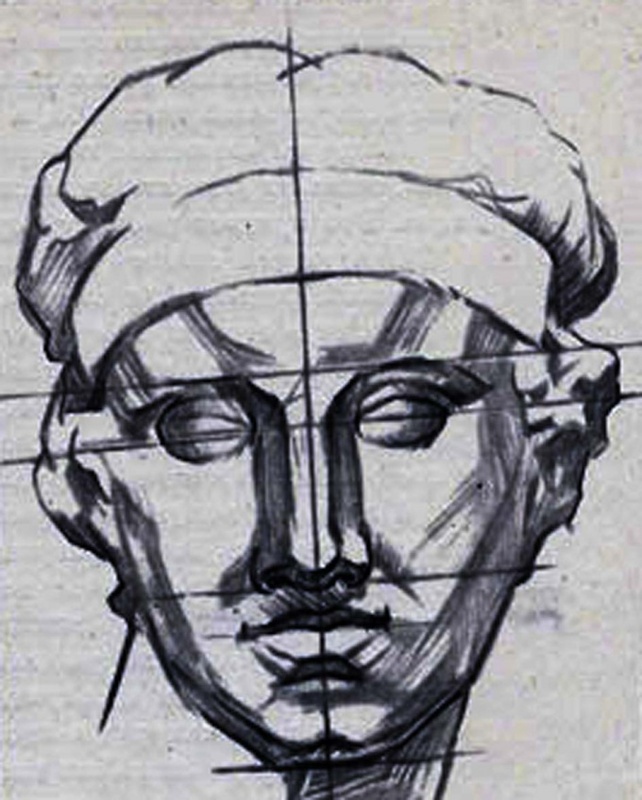 Drawing a plaster head – one of the moments in the learning process of the pupils of the art school, College or University. It is quite a difficult job that requires great attention and diligence. a sheet of paper, pencils, eraser, plaster head. Prepare a work sheet paper, pencils of different softness, eraser. Install a plaster head on the surface, and the illumination source (or limit yourself to only a General illumination of the room, where you will work) so that the front part was lit. Set composite head position on the sheet. It is desirable that the top of the gure there is enough space ("air") and in the face, if you don't paint a full face. Make a light sketch of the head with the neck. Mark edge - the place where the front surface passes into side. The lateral surface can slightly stroke. Refine ratio, the ratio of the cranial and facial parts. More accurately draw the location of the middle vertical lines, eye lines, nose, mouth. Mark the main parts. Continue the analysis of shape. Or rather the build of the surfaces of the cheekbones, nose, lips, eye sockets, and so on. This is useful in order to properly apply the shadow to understand the structure of the head. At this stage, a light shading indicate the main shade. You should not work out some details more accurately, but still not get carried away. Your drawing should be drawn equally in all parts. Check the proportions of the head, using pencil. Then continue to clarify and work out the nose shape, chin, nose, eyelids, ears and other. Strengthen the shadows, lay the penumbra. And "smooth" forms, refer to nature, to avoid the sketchyness in the drawing. To highlight your face - space in front of it gently stroking. Check the tonal unity of the picture, that was not too black spots and sharp corners. When the figure heads are important not so much the amount of work and practice, how much precision work, accurate transmission, understanding the structure of the head and its parts. It is useful to perform the same figure has not from nature, but from memory on the smaller sheet format. It is also useful to perform the same head, but with a different angle. All this work helps to master the techniques of portrait drawing.